These guys make noodle making looking incomparably cool. 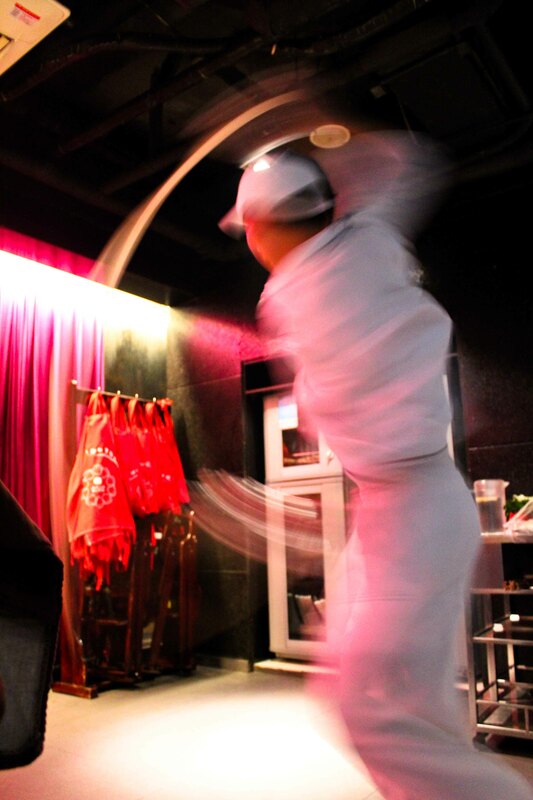 They take your order of noodles and turn it into a whirling, twirling, noodle sculpting extravaganza. Noodles here! Noodles there! Noodles… KA POW! Typically when you order noodles in a hotpot restaurant, you simply expect your plateful of noodles to be unceremoniously plonked on your table by a waitress. You certainly don’t expect them to be stretched a few meters and flung about with amazing dexterity by a B-Boy, before he casts them off in your hotpot soup. It’s an intense and yummy experience. Love this!! I had the opportunity to eat freshly made noodles in China and watch the guy make them.,…but unfortunately there was no dance involwed. The dance is truly something to behold. It didn’t matter how many times I saw the noodle dance, it never lost its charm.